The new Continuum 11.0.2 point release adds support for Apple FCP X and Motion 5 (Yay!) as well as speed improvements to help you work faster. Already own Continuum 11? Download the free update now to take advantage of speed improvements to the VR Unit, Title Studio, and 3D Objects. Plus add new Title Studio presets to your toolkit, and more. 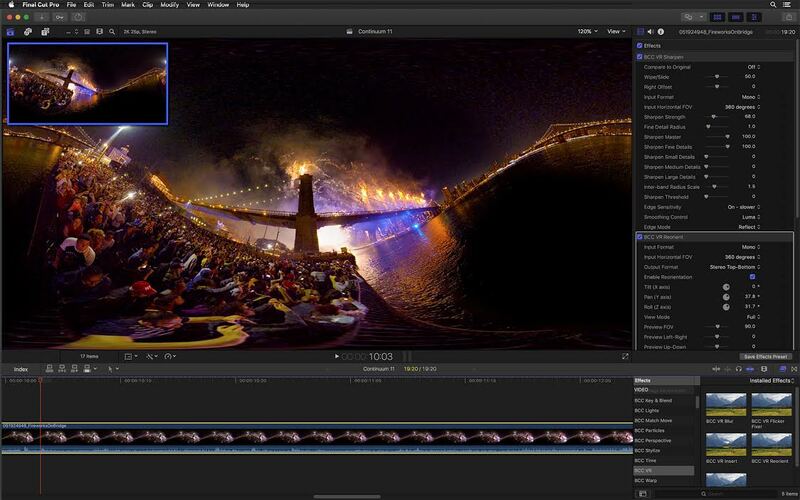 Continuum 11 is now available with new features*, including a VR Unit with 5 quick & powerful filters for everyday 360 editing tasks, a broadcast safe filter to help you make sure your projects always pass rigorous broadcast safe standards, and new presets!